APRIL 18 AN IMPORTANT DAY, THIS CHANNEL HAS A MESSAGE HERE! As the country is all geared up for the Lok Sabha Elections 2019, a leading media house ZEEL launched a campaign called ‘Grown Ups Go Vote’. This campaign is taken up to encourage and urge viewers to cast their vote this election. This campaign was introduced by the network prior to election week that involved child stars to adults from the network appealing citizens of the country to vote in the upcoming Indian Elections 2019. ZEEL has also taken a stance not to air regular content for 2 hours (8:00 am– 10:00 am) across network channels on the days votes will be cast across respective states. It will instead air messages aimed at encouraging people to cast their vote. This initiative started off from Voting Day 1 which was on April 11 and will see it span the entire voting period. Daily wage labourer will stun you with his English speaking skills: WATCH!! This page contains news relating to various facts and events. The views are generally about current affiars and general topics in diversified areas such as political, international, national, and regional issues, sports, health, travel, lifestyle, technology and business. People having similar interets on the above topics will find this page useful. 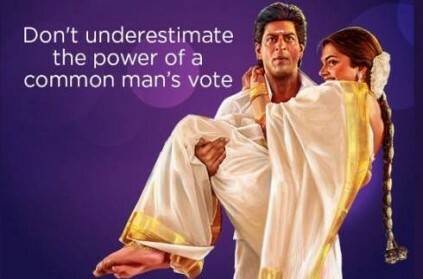 ZEEL introduces network-wide campaign for people to cast their votes t | India News.